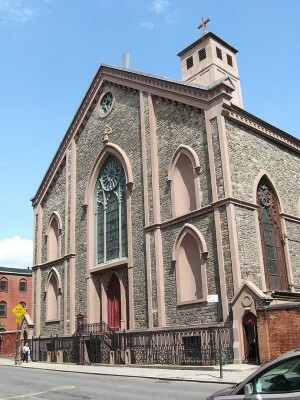 Father Andrew O’Connor of St. Mary’s Church in Manhattan will be the celebrant. Liturgical music will be performed on the Basilica’s historic 1868 Henry Erben Organ by resident organist Jared Lamenzo, and Paddy Connolly will be the Cantor. There will be readings in Gaelic by several guests. After the Holy Mass, there will be a party held in the St. Patrick’s Youth Center with Traditional Irish music performed live. There will be Irish Step Dancing by students of The Niall O’Leary School of Irish Dance, and there will be Irish Soda Bread, food and beverages available. So, we will enjoy the Mass, followed by ceili (great music), craic (great conversation), dancing, and refreshments. Come and join us to celebrate the Feast of Saint Patrick! There is absolutely no charge to attend. Free-will contributions will be gratefully accepted. Saturday, March 12, 12 p.m.